November 1979: Buddy Landel wrestled Bob Orton Jr. in his first professional match. July 4, 1981 – MSW: Ken Mantell defeated Buddy Landel. December 3, 1981 – MSW: Bob Roop defeated Buddy Landel. January 6, 1982 – MACW: Ivan Koloff and Ole Anderson defeated Buddy Landel and Tony Anthony. January 13, 1982 – MACW: Sgt. Slaughter defeated Buddy Landel. May 1, 1982 – MSW: Buddy Landel vs. Jesse Barr ended in a time limit draw. July 2, 1982 – SCWC: Buddy Landel defeated Alexis Smirnoff. August 30, 1982 – CWA: WWA tag team champions Steve Regal and Spike Huber vs. Buddy Landel and Mike Graham ended in a double count-out to retain the titles. September 6, 1982 – CWA: Carl Fergie and Dennis Condrey defeated Buddy Landel and Robert Gibson. September 13, 1982 – CWA: Bobby Fulton and Buddy Landel defeated Gypsy Joe and the Angel. October 4, 1982 – CWA: Buddy Landel defeated The Spoiler. October 18, 1982 – CWA: Bobby Fulton, Buddy Landel and Robert Gibson defeated Carl Fergie, The Angel and The Spoiler. October 25, 1982 – CWA: Crusher Broomfield defeated Buddy Landel. November 15, 1982 – CWA: Carl Fergie defeated Buddy Landel. January 14, 1983 – SWCW: Tim Horner defeated Buddy Landel. November 14, 1983 – CWA: Buddy Landel, Carl Fergie, The Grappler and The Russian Invader defeated Dutch Mantel, Robert Reed, The Jaguar and Tom Prichard. January 20, 1984 – MSW: Buddy Landel defeated Mike Starbuck. January 27, 1984 – MSW: Buddy Landel defeated Lanny Poffo. February 17, 1984 – MSW: Buddy Landel and Butch Reed defeated George Weingeroff and Lanny Poffo. February 24, 1984 – MSW: Buddy Landel and Wendi Richter defeated Lanny Poffo and Princess Victoria. March 2, 1984 – MSW: Buddy Landel and Butch Reed defeated Jason Walker and Mike Jackson. March 9, 1984 – MSW: Buddy Landel and Butch Reed defeated George Weingeroff and Lanny Poffo. April 7, 1984 – MSW: Buddy Landel defeated Lanny Poffo. June 16, 1984 – MSW: Buddy Landel defeated Sonny King. December 27, 1984 – MSW: Butch Reed defeated Buddy Landel. January 7, 1985 – WCCW: Bobby Fulton and Tommy Rogers defeated Buddy Landel and Kelly Kiniski. February 24, 1985 – WCCW: Butch Reed defeated Buddy Landel in a steel cage match. March 6, 1985 – MACW: Buddy Landel defeated Denny Brown. March 9-10, 14, 1985 – MACW: Buddy Landel defeated Sam Houston. March 16, 1985 – MACW: Buddy Landel vs. Manny Fernandez ended in a draw. March 18, 1985 – MACW: Buddy Landel vs. Pez Whatley ended in a draw. March 20, 1985 – MACW: Buddy Landel defeated Sam Houston. March 23, 1985 – NWA Worldwide: Buddy Landel defeated Denny Brown. March 26, 1985 – GCW: Buddy Landel defeated Sam Houston. March 27, 1985 – GCW: Buddy Landel defeated Denny Brown. March 28, 1985 – GCW: Buzz Tyler, Manny Fernandez and Pez Whatley defeated Arn Anderson, Buddy Landel and John Tatum. March 29, 1985 – MACW: NWA United States champion Magnum TA defeated Buddy Landel to retain the title. March 30, 1985 – MACW: MACW Mid-Atlantic heavyweight champion Buzz Tyler defeated Buddy Landel to retain the title. April 3, 1985 – MACW: MACW Mid-Atlantic heavyweight champion Buzz Tyler defeated Buddy Landel by disqualification to retain the title. April 5, 1985 – MACW: Buddy Landel defeated Sam Houston. April 10, 1985 – MACW: Buddy Landel defeated Denny Brown. April 12, 1985 – NWA Worldwide: Buddy Landel defeated Lee Ramsey. April 12, 1985 – MACW: Buddy Landel defeated Denny Brown. April 13, 1985 – MACW: NWA United States champion Magnum TA defeated Buddy Landel to retain the title. April 13, 1985 – NWA WCW: Buddy Landel defeated Sam Houston. April 14, 1985 – MACW: NWA United States champion Magnum TA defeated Buddy Landel to retain the title. April 16, 1985 – NWA Worldwide: Buddy Landel defeated Gene Lion. April 16, 1985 – MACW: Buddy Landel defeated David Dellinger. April 17, 1985 – MACW: NWA United States champion Magnum TA defeated Buddy Landel by disqualification to retain the title. April 18, 1985 – MACW: MACW Mid-Atlantic heavyweight champion Buzz Tyler defeated Buddy Landel by disqualification to retain the title. April 20, 1985 – NWA WCW: Buddy Landel defeated Mack Jeffers. April 27, 1985 – MACW: Buddy Landel defeated Sam Houston. July 3, 1985 – MACW: Buddy Landel defeated Sam Houston. July 6, 1985 – NWA The Great American Bash: Ron Bass defeated Buddy Landel. August 6, 1985 – MACW: Buddy Landel defeated George South. Buddy Landel defeated Lee Ramsey. September 13, 1985 – MACW: Jimmy Valiant defeated Buddy Landel. September 21, 1985 – MACW: Ron Bass defeated Buddy Landel. September 22, 1985 – MACW: Buddy Landel vs. Terry Taylor ended in a draw. September 27, 1985 – NWA Worldwide: Arn Anderson, Buddy Landel and Tully Blanchard defeated Brady Boone, Pez Whatley and The Italian Stallion. September 28, 1985 – MACW: Buddy Landel vs. Ron Bass ended in a no contest. September 29, 1985 – MACW: Buddy Landel defeated Denny Brown. September 30, 1985- MACW: Buddy Landel defeated The Italian Stallion. October 2, 1985 – MACW: Buddy Landel defeated The Italian Stallion. October 4, 1985 – MACW: Buddy Landel defeated Pez Whatley. October 5, 1985 – MACW: Buddy Landel defeated Terry Taylor. November 28, 1985 – NWA Starrcade: Buddy Landel defeated Terry Taylor to win the NWA National heavyweight title. December 21, 1985 – MACW: NWA world tag team champions The Rock ‘n’ Roll Express (Ricky Morton and Robert Gibson) defeated Buddy Landel and Tully Blanchard to retain the titles. April 19, 1986 – NWA Jim Crockett Sr. Memorial Cup 1986: Steve Williams and Terry Taylor defeated Buddy Landel and Bill Dundee in the semi-finals. June 23, 1986 – CWA: Don Bass and Roger Smith defeated Buddy Landel and Austin Idol by disqualification. June 30, 1986 – CWA: Buddy Landel and Austin Idol vs. Don Bass and Roger Smith ended in a no contest. July 29, 1986 – MACW: Buddy Landel defeated George South. Buddy Landel defeated Rocky King. September 5, 1986 – MACW: Buddy Landel defeated The Warlord. September 6, 1986 – NWA WCW: Buddy Landel and Bill Dundee defeated Rocky King and Johnny Cook. September 14, 1986 – MACW: Ron Garvin vs. Buddy Landel ended in a draw. September 20, 1986 – MACW: Bobby Jaggers & Dutch Mantel defeated Bill Dundee & Buddy Landel. September 21, 1986 – MACW: Ron Garvin defeated Buddy Landel by DQ. September 26, 1986 – MACW: Buddy Landel vs. Sam Houston ended in a draw. September 28, 1986 – MACW: The Kansas Jayhawks (Bobby Jaggers & Dutch Mantel) defeated Bill Dundee & Buddy Landel in the 1st round. September 29, 1986 – MACW: Buddy Landel vs. Magnum TA ended in a draw. January 2, 1988 – AJPW: Akira Taue & Giant Baba defeated Buddy Landel & Paul Harris. January 3, 1988 – AJPW: Buddy Landel defeated Toshiaki Kawada. January 5, 1988 – AJPW: Akira Taue vs. Buddy Landel ended in a double count-out. January 6, 1988 – AJPW: Jumbo Tsuruta & Yoshiaki Yatsu defeated Buddy Landel & Curt Hennig. January 7, 1988 – AJPW: Akira Taue & Giant Baba defeated Buddy Landel & Paul Harris. January 8, 1988 – AJPW: Hiroshi Wajima defeated Buddy Landel. January 9, 1988 – AJPW: Jumbo Tsuruta defeated Buddy Landel. January 11, 1988 – AJPW: Buddy Landel vs. Isao Takagi ended in a double count-out. January 16, 1988 – AJPW: Buddy Landel defeated Isamu Teranishi. January 17, 1988 – AJPW: Buddy Landel vs. Isao Takagi ended in a double count-out. January 20, 1988 – AJPW: John Tenta defeated Buddy Landel. January 21, 1988 – AJPW: Abdullah The Butcher, Buddy Landel & TNT defeated Akio Sato, Hiroshi Wajima & Yoshiaki Yatsu. January 23, 1988 – AJPW: Hiroshi Wajima & Jumbo Tsuruta defeated Abdullah The Butcher & Buddy Landel. January 24, 1988 – AJPW: Yoshiaki Yatsu defeated Buddy Landel. August 1, 1988 – CWA: AWA world heavyweight champion Jerry Lawler defeated Buddy Landel to retain the title. August 29, 1988 – CWA: Jerry Lawler & Kerry von Erich defeated Buddy Landel & Tommy Rich by disqualification. September 5, 1988 – CWA: Jerry Lawler & Jimmy Valiant defeated Buddy Landel & Tommy Rich. September 9, 1988 – WWC: WWC Caribbean champion Buddy Landel defeated TNT to retain the title. October 3, 1988 – CWA: Buddy Landell vs. Bill Dundee ended in a no contest. November 5, 1988 – CWA: Jeff Jarrett defeated Buddy Landel. November 7, 1988 – CWA: Buddy Landel defeated Brian Lee. November 20, 1988 – CWA: Jeff Jarrett defeated Buddy Landel. July 7, 1990 – NWA The Great American Bash: Brian Pillman defeated Buddy Landel. September 5, 1990 – NWA Clash of the Champions 12: Mike Rotundo defeated Buddy Landel. November 20, 1990 – NWA Clash of the Champions 13: Brian Pillman defeated Buddy Landel. February 6, 1991 – House Show: Brian Pillman defeated Buddy Landel. February 12, 1991 – House Show: Ron Simmons defeated Buddy Landel. February 24, 1991 – Wrestlewar: Dusty Rhodes defeated Buddy Landel. May 4, 1991 – TWA: Eddie Gilbert defeated Buddy Landel. June 29, 1991: The Patriot defeated Buddy Landel in Tournament Final to be the first ever GWF Television Champion. May 18, 1991 – TWA: Al Perez and Buddy Landel defeated Steve Keirn and Stan Lee by disqualification. October 26, 1991 – TWA: Buddy Landel defeated JT Smith to win the heavyweight title. 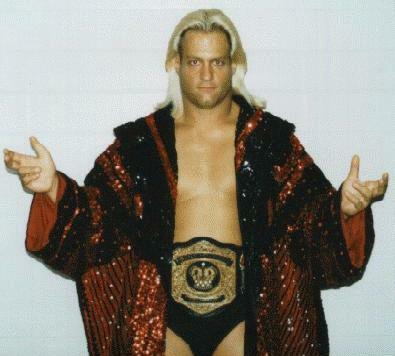 November 19, 1991 – TWA: TWA heavyweight champion Buddy Landel defeated JT Smith to retain the title. December 7, 1991 – TWA: Paul Orndorff defeated Buddy Landel by DQ. April 18, 1992 – SMW TV: Buddy Landel defeated Reno Riggins. May 16-17, 1992 – SMW: Tim Horner defeated Buddy Landel. May 22, 1992 – SMW: Brian Lee defeated Buddy Landel in the 1st round. June 4, 1992 – SMW: Hector Guerrero defeated Buddy Landel. June 5, 1992 – SMW: Buddy Landel defeated Tim Horner. June 6, 1992 – SMW: Robert Gibson & Tim Horner defeated Buddy Landel & Jimmy Golden. June 7, 1992 – SMW: Buddy Landel defeated Tim Horner. June 8, 13, 1992 – SMW: Tim Horner defeated Buddy Landel. June 20, 1992 – SMW TV: Buddy Landel defeated Joey Maggs. June 20, 1992 – SMW: Tim Horner defeated Buddy Landel. June 21, 1992 – SMW: Tim Horner defeated Buddy Landel by count-out. July 3-4, 10, 1992 – SMW: Tim Horner defeated Buddy Landel. July 11, 1992 – SMW: Brian Lee defeated Buddy Landel. July 17-19, 1992 – SMW: Tim Horner defeated Buddy Landel in a strap match. August 5, 1992 – SMW: Tim Horner defeated Buddy Landel. August 8-9, 1992 – SMW: Tim Horner defeated Buddy Landel in a I Quit match. August 17, 1992 – USWA: Brian Christopher, Buddy Landel, Doug Gilbert & Eddie Gilbert defeated Bill Dundee, The Rock ‘n’ Roll Express (Ricky Morton & Robert Gibson) & Tommy Rich. August 21, 1992 – SMW TV: The Rock ‘n’ Roll Express (Ricky Morton & Robert Gibson) defeated Buddy Landel & Paul Lee. August 24, 1992 – USWA: Reno Riggins defeated Buddy Landel by DQ. August 30, 1992 – SMW TV: The Fantastics (Bobby Fulton & Jackie Fulton) defeated Buddy Landel & Paul Lee to retain the tag titles. September 7, 1992 – USWA: Buddy Landel and Tommy Rich defeated Bill Dundee and The Junkyard Dog. September 21, 1992 – USWA: Buddy Landel and Tommy Rich defeated Bill Dundee and Reno Riggins. February 14, 1993 – NOW: Buddy Landel defeated Rod Price. February 16, 1993 – NOW: Buddy Landel defeated Hikaru Kawabata. February 19, 1993 – NOW: Hiroshi Hatanaka & Ishinriki defeated Buddy Landel & The Equalizer. March 19, 1993 – NOW: Apollo Sugawara defeated Buddy Landel. March 20, 1993 – NOW: Umanosuke Ueda defeated Buddy Landel by DQ. November 22, 1993 – USWA: Buddy Landel defeated Jeff Jarrett to win the vacant heavyweight title. November 29, 1993 – USWA: Buddy Landel vs. Dutch Mantel ended in a double count-out. December 4, 1993 – USWA: Buddy Landel defeated Tony Williams. December 6, 1993 – USWA: USWA heavyweight champion Brian Christopher defeated Buddy Landel by disqualification to retain the title. December 7, 1993 – USWA: Brian Christopher & Jerry Lawler defeated Buddy Landel & Reggie B. Fine. December 25, 1993 – USWA: Buddy Landel defeated Mike Anthony. December 30, 1993 – USWA: Buddy Landel defeated Jeff Gaylord. January 3, 1994 – USWA: Buddy Landel, Doug Gilbert, Eddie Gilbert & Killer Kyle defeated The Rock ‘n’ Roll Express (Ricky Morton & Robert Gibson), Brian Christopher & Jerry Lawler. USWA heavyweight champion Brian Christopher defeated Buddy Landel to retain the title. August 15, 1994 – USWA: Brian Christopher and Buddy Landel defeated Doug Gilbert and Tommy Rich. August 20, 1994 – USWA: Buddy Landel and Jerry Lawler defeated Tommy Rich and Doug Gilbert. August 22, 1994 – USWA: Moondog Rex and Moondog Spot defeated Buddy Landel and Tommy Rich. September 5, 1994 – USWA: Buddy Landel and Tommy Rich defeated Moondog Rex and Moondog Spot in a last man standing match. September 12, 1994 – USWA: Moondog Rex and Moondog Spot defeated Buddy Landel and Tommy Rich in a chairs death match. September 19, 1994 – USWA: Moondog Rex and Moondog Splat defeated Buddy Landel and Tommy Rich. October 3, 1994 – USWA: Buddy Landel defeated John Kronus in the 1st round. Buddy Landel defeated Perry Saturn in the 2nd round. October 8, 1994 – WWC: Huracan Castillo defeated Buddy Landel. October 10, 1994 – USWA: Buddy Landel defeated Tommy Rich by DQ. October 17, 1994 – USWA: Tommy Rich vs. Buddy Landel ended in a double count-out to retain the heavyweight title. October 24, 1994 – USWA: Tommy Rich defeated Buddy Landel to retain the heavyweight title. November 5, 1994 – USWA TV: Buddy Landel defeated Big Joe El Dorado. November 7, 1994 – USWA: Doug Gilbert defeated Buddy Landel. November 8, 1994 – USWA: Doug Gilbert and Tommy Rich defeated Brian Christopher and Buddy Landel. November 14, 1994 – USWA: USWA Unified heavyweight champion Sid Vicious defeated Buddy Landel to retain the title. November 16, 1994 – USWA: Doug Gilbert defeated Buddy Landel in a street fight. November 21, 1994 – USWA: Spellbinder defeated Buddy Landel. November 26, 1994 – NWA Dallas: Sam Houston defeated Buddy Landel. Buddy Landel defeated Chris Youngblood. December 24, 1994 – SMW TV: Buddy Landel defeated Steve Skyfire. December 25-27, 1994 – SMW: Buddy Landel defeated Dirty White Boy by disqualification. December 29-30, 1994 – SMW: Buddy Landel defeated Dirty White Boy by disqualification. December 31, 1994 – SMW TV: Buddy Landel defeated Brian Lee to win the SMW Beat The Clock TV title. January 14, 1995 – SMW TV: SMW Beat The Champ TV champion Buddy Landel defeated George South to retain the title. January 14, 1995 – SMW: SMW heavyweight champion Dirty White Boy defeated Buddy Landel in a no disqualification match to retain the title. January 21, 1995 – SMW: SMW Beat The Champ TV champion Buddy Landel defeated Tommy Pitner to retain the title. January 21, 1995 – SMW: Buddy Landel defeated Dirty White Boy by disqualification. January 28, 1995 – SMW: Buddy Landel defeated Tracy Smothers. Dirty White Boy defeated Buddy Landel in a lights out match. February 11, 1995 – SMW: SMW Beat The Champ TV champion Buddy Landel defeated Scotty McKeever to retain the title. February 26, 1995 – SMW: SMW heavyweight champion Bobby Blaze defeated Buddy Landel to retain the title. March 4, 1995 – SMW: Buddy Landel defeated Anthony Michaels. April 7, 1995 – SMW: SMW heavyweight champion Bobby Blaze vs. Buddy Landel ended in a draw to retain. Dirty White Boy defeated Buddy Landel in a chain match. April 8, 1995 – SMW: Dirty White Boy defeated Buddy Landel to win the heavyweight title. April 20-21, 1995 – SMW: Buddy Landel defeated Bobby Blaze by disqualification. April 22, 1995 – SMW: Buddy Landel defeated Bobby Blaze to retain the heavyweight title. April 29, 1995 – SMW: Buddy Landel defeated Bobby Fulton to retain the heavyweight title. May 4-6, 1995 – SMW: Steve Armstrong defeated Buddy Landel by disqualification. May 19, 1995 – SMW: Steve Armstrong defeated Buddy Landel by disqualification. May 20, 1995 – SMW: Steve Armstrong defeated Buddy Landel by disqualification. June 17, 1995 – SMW: Buddy Landel defeated Steve Armstrong to retain the heavyweight title. June 24, 1995 – SMW: Brad Armstrong defeated Buddy Landel. July 10, 1995 – USWA: Bill Dundee, Jerry Lawler & Sid Vicious defeated Brian Lee, Buddy Landel & Jimmy Harris in a tag team elimination handcuffed match. July 10, 1995 – USWA: Steven Dunn defeated Buddy Landel by disqualification. July 15, 1995 – SMW: Buddy Landel defeated The Wolfman. July 15, 1995 – SMW: Brad Armstrong defeated Buddy Landel by disqualification. July 17, 1995 – USWA: USWA Unified world heavyweight champion Jerry Lawler defeated Buddy Landel by disqualification to retain the title. July 21, 1995 – USWA: Buddy Landel defeated Brad Armstrong. July 24, 1995 – USWA: Doug Gilbert defeated Buddy Landel. Buddy Landel, Robert Gibson & Tracy Smothers defeated PG-13 (JC Ice & Wolfie D) & Tommy Rich. July 25, 1995 – USWA: USWA Unified world heavyweight champion Jerry Lawler defeated Buddy Landel by disqualification to retain the title. July 31, 1995 – USWA: PG-13 (JC Ice & Wolfie D), Doug Gilbert & Tommy Rich defeated Buddy Landel, Robert Gibson, Terry Gordy & Tracy Smothers. August 4, 1995 – SMW: WWE Intercontinental champion Shawn Michaels defeated Buddy Landel to retain the title. August 5, 1995 – SMW: Brad Armstrong defeated Buddy Landel by DQ. August 7, 1995 – USWA: Bill Dundee, Billy Jack Haynes, Doug Gilbert, Jerry Lawler, PG-13 (JC Ice & Wolfie D) & Tommy Rich defeat Buddy Landel, Gorgeous George III, Pat Tanaka, Robert Gibson, The Heavenly Bodies (Jimmy del Ray & Tom Prichard) & Tracy Smothers in a 14 man rage in a cage match. USWA Unified world heavyweight champion Jerry Lawler defeated Buddy Landel to retain the title. August 12, 1995 – SMW: Brad Armstrong defeated Buddy Landel to win the SMW heavyweight title. August 14, 1995 – USWA: Bill Dundee, Frank Morrell and Phil Hickerson defeated Buddy Landel, Robert Gibson and Tracy Smothers. August 21, 1995 – USWA: Bill Dundee defeated Buddy Landel in a match where the looser must leave town. September 23, 1995 – SMW: Buddy Landel defeated Killer Kyle. September 30, 1995 – SMW: Buddy Landel defeated Mosh. October 14, 1995 – SMW: Buddy Landel defeated Larry Santo. November 4, 1995 – SMW: Buddy Landel defeated Tommy Rich by disqualification. November 18, 1995 – SMW: Bobby Blaze and Buddy Landel defeated The Punisher and Tommy Rich by disqualification. November 23, 1995 – SMW: Buddy Landel and The Bullet defeated The Punisher and Tommy Rich. November 25, 1995 – SMW: Buddy Landel defeated The Punisher in a dark match by disqualification. December 17, 1995 – In Your House 5: Ahmed Johnson defeated Buddy Landel. December 18, 1995 – RAW: Buddy Landel defeated Bob Holly..
December 23, 1995 – Superstars: Buddy Landel defeated Matt Hardy..
January 13, 1996 – Mania: WWE world champion Bret Hart defeated Buddy Landel to retain the title. December 27, 1996 – TMW: Buddy Landel defeated Eight Ball Jones. January 25, 1997 – TMW: Dirty White Boy and Dirty White Girl defeated Buddy Landel and Terry Landel. February 14, 1997 – TMW: Dirty White Boy and Dirty White Girl defeated Buddy Landel and Terry Landel. February 20, 1997 – WWE House Show: TL Hooper defeated Buddy Landel. March 11, 1997 – TMW: Dirty White Boy defeated Buddy Landel. March 22, 1997 – NWA New Jersey: Ace Darling defeated Buddy Landel. March 26, 1997 – NAASW: Buddy Landel defeated Tommy Rich in the 1st round. Buddy Landel vs. Doug Gilbert ended in a double count-out in the semi-finals. April 12, 1997 – NWA 2nd Annual Eddie Gilbert Memorial Brawl: Doug Gilbert defeated Buddy Landel. April 26, 1997 – NWA: Buddy Landel defeated Disco Inferno. April 27, 1997 – MEWF: Buddy Landel and Salvatore Sincere vs. Chris Candido and Scott Putski ended in a no contest. April 29, 1997 – NAASW: Doug Gilbert and JC Ice defeated Buddy Landel and Tommy Rich. September 18, 1997 – IWA Mid-South: Buddy Landel defeated Bull Pain. September 20, 1997 – IWA Mid-South: Buddy Landel defeated The Wild Child. September 25, 1997 – IWA Mid-South: Doug Gilbert defeated Buddy Landel. November 7, 1997 – IWA Mid-South: Buddy Landel defeated Bull Pain to win the IWA Mid-South heavyweight title. February 28, 1998 – NWA 3rd Annual Eddie Gilbert Memorial Brawl: Tommy and Doug Gilbert defeated Buddy Landel and Dory Funk Jr..
May 30, 1998 – Shotgun Saturday Night: Edge defeated Buddy Landel in a dark match. November 13, 1998 – IWA Mid-South: Buddy Landel defeated Dutch Mantel. February 20, 1999 – Shotgun Saturday Night: The Godfather defeated Buddy Landel. February 27, 1999 – Shotgun: Triple H defeated Buddy Landel. April 24, 1999 – NWA 2000: Tracy Smothers defeated Buddy Landel in the 1st round. May 1, 1999 – NWA 2000: Buddy Landel defeated Tom Brandi. August 31, 1999 – NWA OVW: NWA OVW Southern tag team champions Jason Lee and Rip Rogers vs. Buddy Landel and Nick Dinsmore ended in a no contest. September 15, 1999 – NWA OVW: Nick Dinsmore defeated Buddy Landel. January 31, 2001 – NWA OVW: Derrick King, Jason Lee and Rip Rogers defeated Buddy Landel, Chris Michaels and Sean Casey. August 11, 2001: Buddy Landel wrestled last match as a full time wrestler against Tommy Rich in Alabama. September 28, 2003 – Memphis Wrestling: Buddy Landel, Jerry Lawler and Jimmy Valiant defeated Bill Dundee, Jimmy Hart and Mabel. December 28, 2003 – IWA: Alex Law and Buddy Landel defeated Evan Meyers and Simply Luscious. August 27, 2005 – American Pro Wrestling: Buddy Landel defeated A.J Frost. September 3, 2005 – American Pro Wrestling: Mark Slain defeated Buddy Landel. April 5, 2007 – West Virginia Mountaineer Wrestling: Jerry “The King” Lawler defeated Buddy Landel w/Kim Chee (Jim Casey)..
March 3, 2009 – XCW: XCW Mid-West heavyweight champion Flash Flanagan defeated Buddy Landel to retain the title. March 4, 2009 – XCW: Jeff Daniels defeated Buddy Landel by disqualification. September 6, 2009 – Memphis Wrestling: Buddy Landel defeated Mr. Hughes by disqualification. October 16, 2009 – CAPW: Buddy Landel and Mitch Ryder defeated Christian Vaughn and Robby Starr. October 24, 2009 – Tri-State Wrestling Alliance Reunion: Glen Osbourne defeated Buddy Landel to win the TWA Heavyweight title. December 11, 2009 – CAPW: Buddy Landel defeated Jefferson Saint in the 1st round. Nick Vah defeated Buddy Landel in the semi-finals. ~~~Jake Roberts and Brutus Beefcake and Brickhouse Brown defeated Buddy Landel and Greg Valentine and Cameron Valentine.